Several weeks ago, I attended, with my friend Jeremy and my nine year old daughter, the 13th annual Healthy Foods, Local Farms conference themed “No Water, No Food” in Louisville. I am not a farmer—at best I might consider myself an urban homesteader—but food and farming are close to my heart. My daughter and I had just watched a documentary about the global demands for water resources, and we came to this conference with a keen thirst for a local perspective. We found all of the presentations valuable and interesting, but I was most struck by the presentation of Dennis Dimick, the Executive Environment Editor for National Geographic Magazine. His presentation on the Age of Man or the “Anthropocene” was of course filled with astonishing images, but also graphs and charts defining the growing influence of man on the planet. As he described the rising temperatures, the increasingly severe weather patterns, and the explosively expanding population, I could feel myself losing hope by the moment. He told us that by the burning of fossil fuels we release a million years of photosynthesis every year, and I found myself wondering how we can possibly sustain this type of demand for energy. The concept of sustainability is perhaps spoken of too easily and maybe even carelessly, and when couched in global terms, it has, at least for my limited imagination, all of the vast intractability of catching a thousand pound greased pig—with one of our arms tied behind our back. As Mr. Dimick described our increasing pressure on the environment, I was curious to see an image, presumably from space, of a darkened planet with glowing regions of electric light. The more developed regions were washed in light, while a large band, huddled around the equator, was in darkness. As I contemplated the energy demands that a growing population would necessarily impose, I fully expected Mr. Dimick to propose that we should apply ourselves to decreasing the lighted areas—to reduce our gluttonous demand for energy. What followed was an image of Dr. Daniel Nocera of MIT, holding two glowing plastic bottles of water from which he can harness the power to light his home and drive his car. I wish I had possessed the lucidity to ask whether he truly believes we can sustainably replace the energy demands of 7 billion people with water and provide it to over 9 billion people in the next few decades. Will we have to choose between drinking and driving? The sad truth is evidenced by Mr. Dimick’s statement that the developed world is currently using resources as though we had a planet and a half, and that if everyone lived as carelessly as we do, we would need 4 planets to sustain us. We will most likely be able to drink AND drive, while a good portion of the population will do neither. I may certainly be wrong. I hope I am. I have some time to consider the potential narrowness of this national faith, as well as my own, as we leave the conference early (even to miss Mr. Berry’s closing remarks) and make our own way southwest to Rhodelia, KY and Barr Farms, for the Community Farm Alliance, Ag Legacy Initiative—Beginning Farmers Field Day. I sense a growing relief as we leave the power point projector behind, with its stark images of dwindling resources and even starker solutions. Adam Barr is, I would guess, in his early thirties and soft spoken. He and his wife Rae are generous and gracious as they walk the visitors around the farm. Adam shows us his many inventive homemade solutions to the daily challenges of poultry and vegetable production, such as the old school bus converted in to an “egg mobile” for the pastured layer flock, without any self congratulation, but maybe a slightly contrary gleam in his eye. As we walk through the fields, I talk to one of the other visitors about the conference, and he asks, as one who may have been to a conference or two, if there was any good news. I can’t really think of any at the moment. At around 6 o’clock, as we make our way back from feeding the pastured broilers, Adam agrees to take us to see the draft horses. I think this is the only reason my daughter endured the conference, and I see her face brighten as we walk into the corral. The two Percheron mares tower over us, gentle and patient, although I am sure not entirely safe, and their two colts frisk a little and nibble at my shirt sleeve. I ask Adam how often they use the horses and he admits that it is not often enough. It just takes too long to harness them, and I can’t really blame him. I’m sure the day is long out here in these fields, and who can ask him to willingly make it longer? But then he turns our attention to the house that they are just finishing, adjacent to the small corral that we are standing in. It is half house and half barn, and they tell me that they can walk out of the bedroom into a hallway that leads directly to the hay loft. 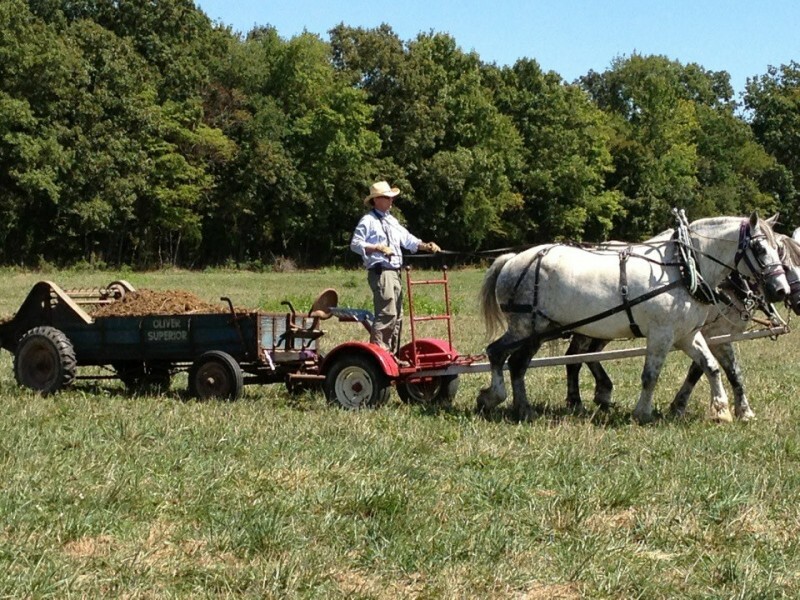 Adam hopes that by making the horses more convenient they will get to work more. You must include property listings so that peoplecan access them from the site. new construction, Tampa Bay foreclosures or commercial real estate. they have the right credentials and skills in helping you make the right decisions.